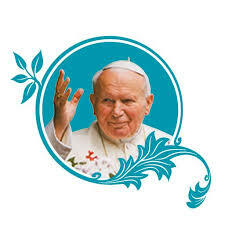 We are delighted to announce that 43 of our current 5th Year Students have achieved the Pope John Paul II Award and have been invited to the Award Ceremony which will take place in St. Paul’s Church, Arran Quay, Dublin 7 on Wednesday 16th November at 7.30pm. Congratulations to all of those students who successfully achieved this hugely important award that ties in with our motto of ‘Shaping a Brighter Future for our Young People’, as well as tying it with CEIST’s values of Promoting Spiritual and Human Development, Showing Respect for Every Person, Creating Community and Being Just and Responsible. A Special thank you to Mr. Jenkins and Ms. Irwin for all of their efforts in helping our students on their way to achieving this award.